But now it's 2015, so what do you see if you look at my shoes? 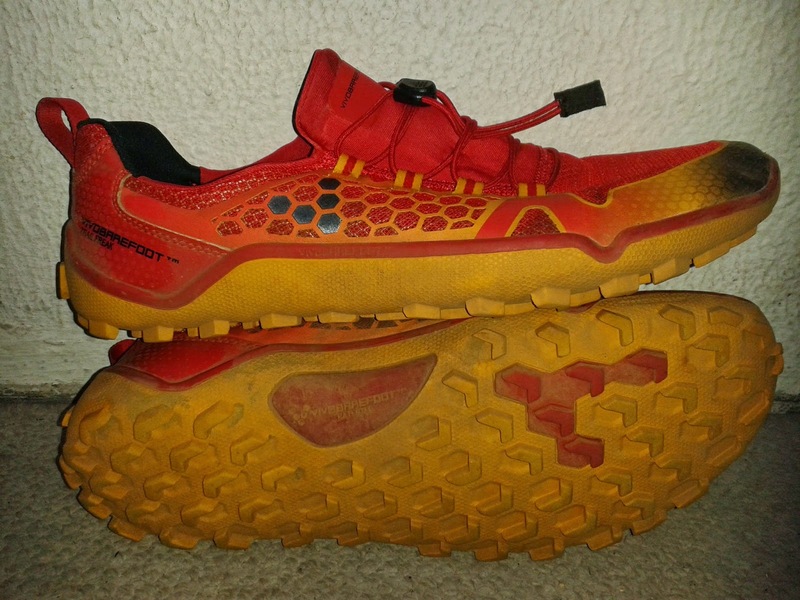 I have been very lucky over the last 10+ years and haven't had to buy a lot of the shoes I run in, but the question is would I buy any of the shoes I own? and how do they run, might they work for you? 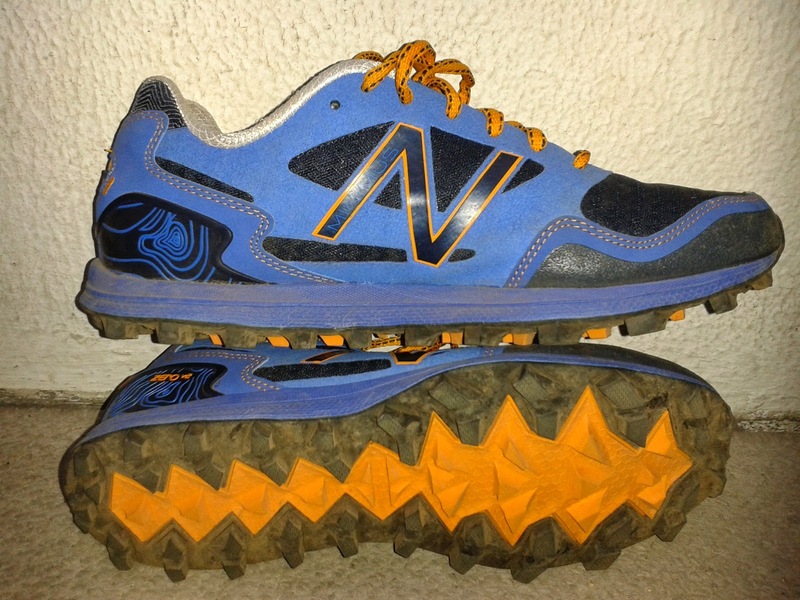 These have 1400km on them..
Now not everyone is into Fivefinger, but as a kid I use to run around barefoot, and then at the end of school I had a pair of spikes. Zero drop has never been a problem for me and I liked the idea of 5-fingers so this is my 2nd pair. Other than the struggle one sometimes has in putting them on I enjoy running in them. I must say that while the 'shoe' was new I thought the nobbles felt funny when walking in them (but not while running), but now with a couple of miles on them they feel great. I would be lying if I said they were still perfect after all those miles, the fabric between the big toes has worn though! 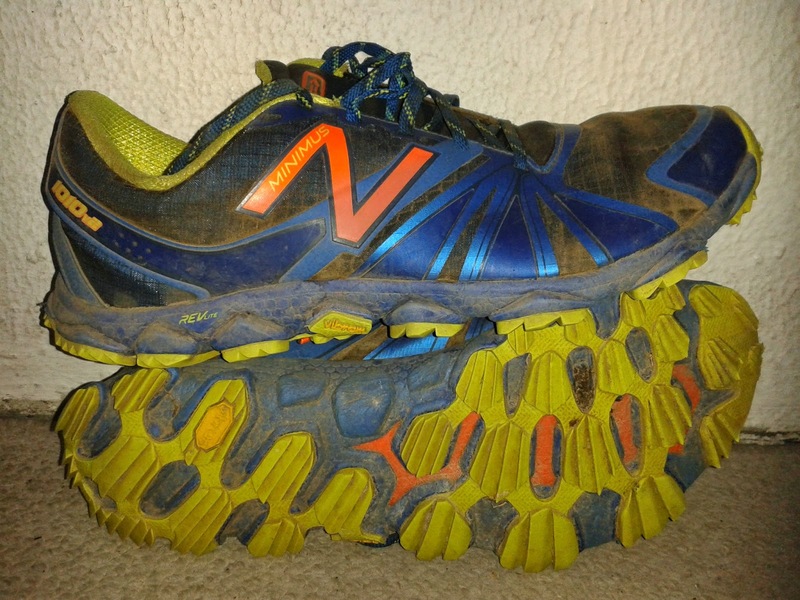 I really like running in them and run my last Marathon in them. This is a new shoe to me and not really like any other shoe I've run in! Now Nike's got "Air", Asics have "Gel", New Balance have "Fresh Foam", so what have Vivo got? Well, in short nothing... or should I say 3mm of rubber. Let's start with just standing there, you're not on stilts or standing on your bed about to run, you are firm on the ground, well 3mm of rubber, so you feet are protected. 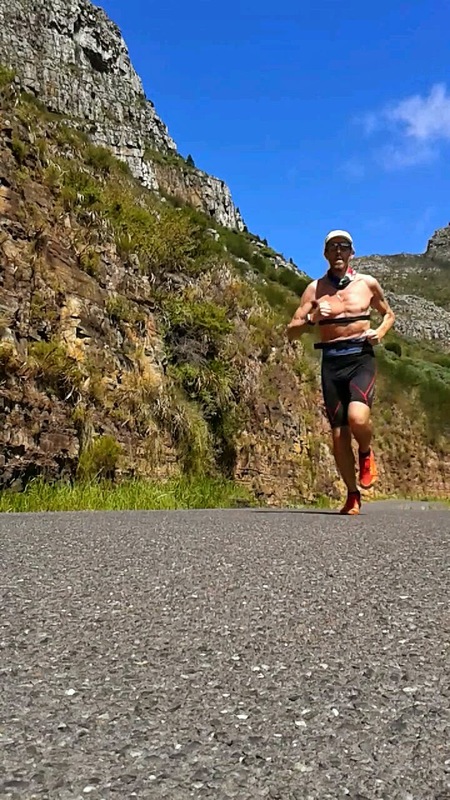 So off you go on a run: While the shoe bends with your foot and as you push off there is no give, all your power is used for pushing you forward... you fly through the air and hit the ground. If your foot is out front it will feel hard as you bang your heel into the ground... I like to think I run like a champ so my foot is striking the ground under me! 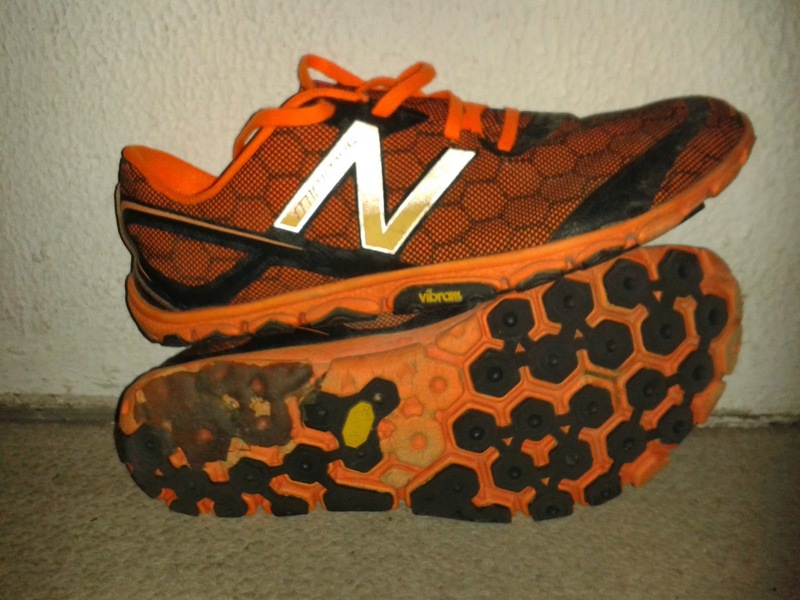 This shoe is make for this style of running. Now the shoe isn't fitting my foot like a glove, but in a barefoot shoe you want your foot to move like it would is it wasn't wearing a shoe. my foot hits the ground again and it's like landing on a rubber carpet it's like someone has rolled out a rubber mat the whole lenth of my run who wouldn't run barefoot if that was the case? 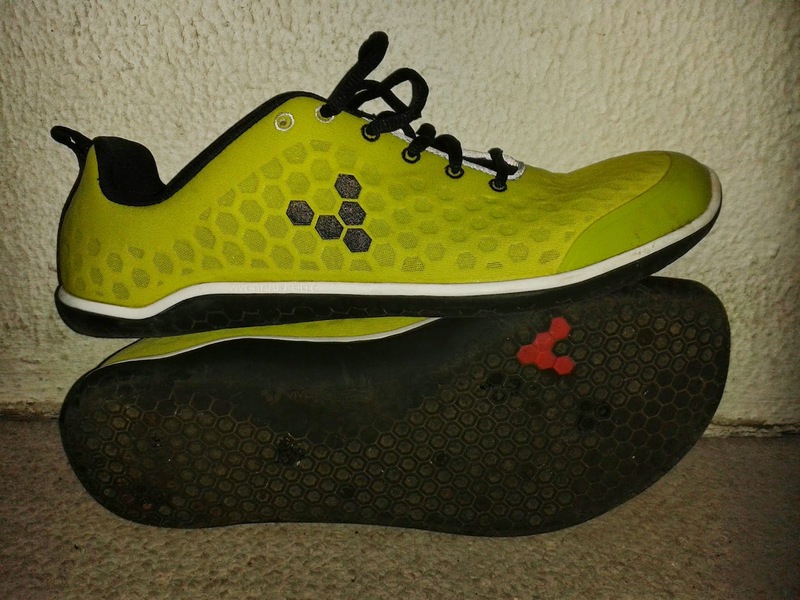 They say this shoe is good for road and trail, and for a "normal" it works well... But I've been running is minimus shoes and my body has become more responsive! I can feel that I'm balancing on a high heel, and I have even started to feel the shoe "give" as I push off steeling my forward motion. But this is me, and if you like a heel and all the cushioning there is nothing wrong with this shoe. 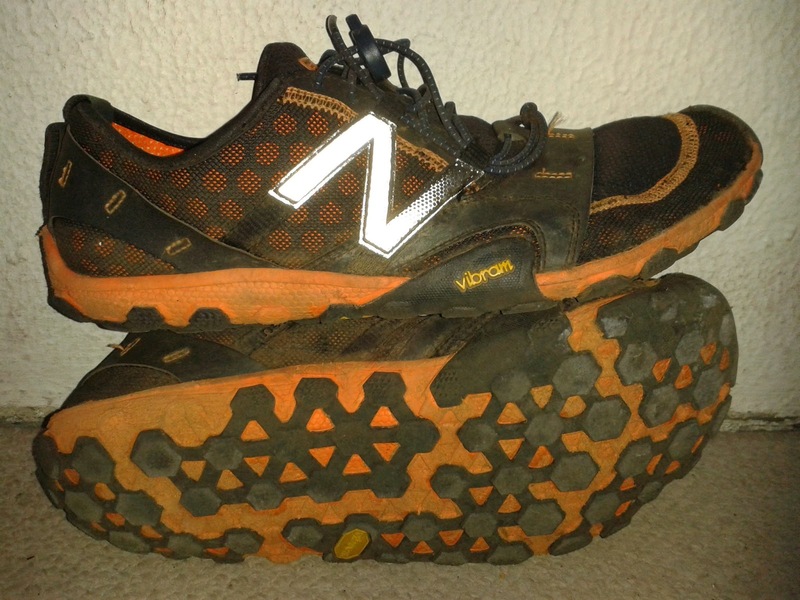 Only use this shoe for racing as while I really enjoy wearing them I don't want to destroy them... the first pair I only got 635km in them, and in that time they needed a bit of shoe patch! I don't think any shoe is perfect! The problem is the grip, while is works well and you can go anywhere in them sometimes they (the knobs) can break loose! I haven't run in these shoes and I might never get to run in them... 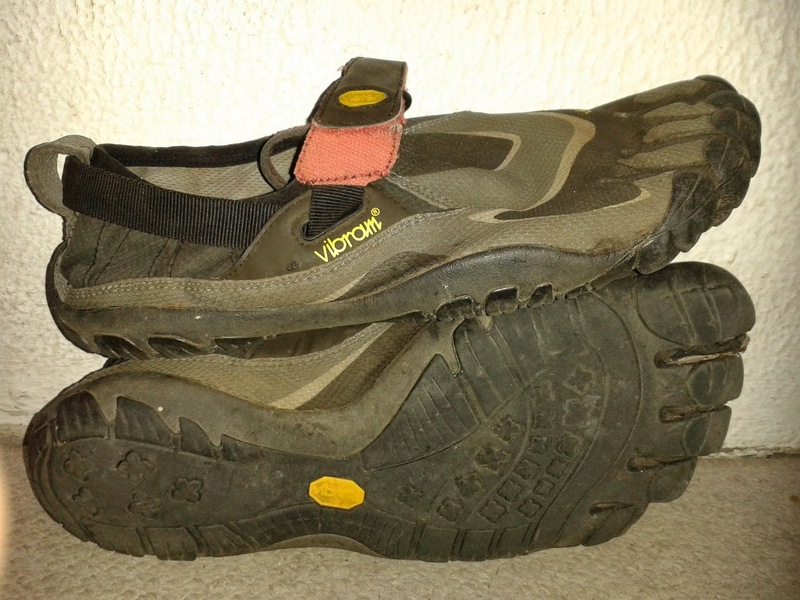 I've done a couple of walks with them on, so let me tell you why I don't think I can run in them! Now to test a pair of trail shoes I like to head to the manganese mine, but with that side of the mountain burnt I had try something else... Maclears beacon via the Valley of the Red Gods. 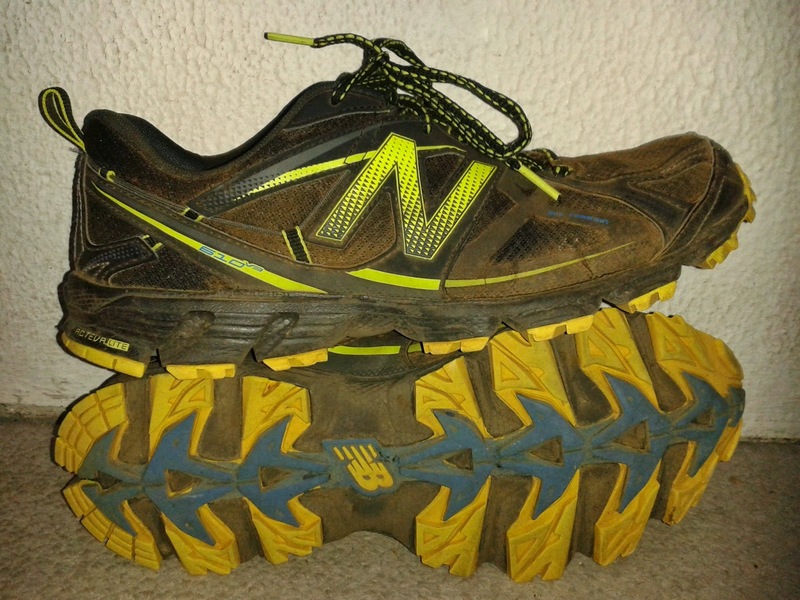 I know this is a trail shoe, but in most trail runs you are stuck on the road for a bit... and this isn't made for road it feels more stable on winding through forest trails. 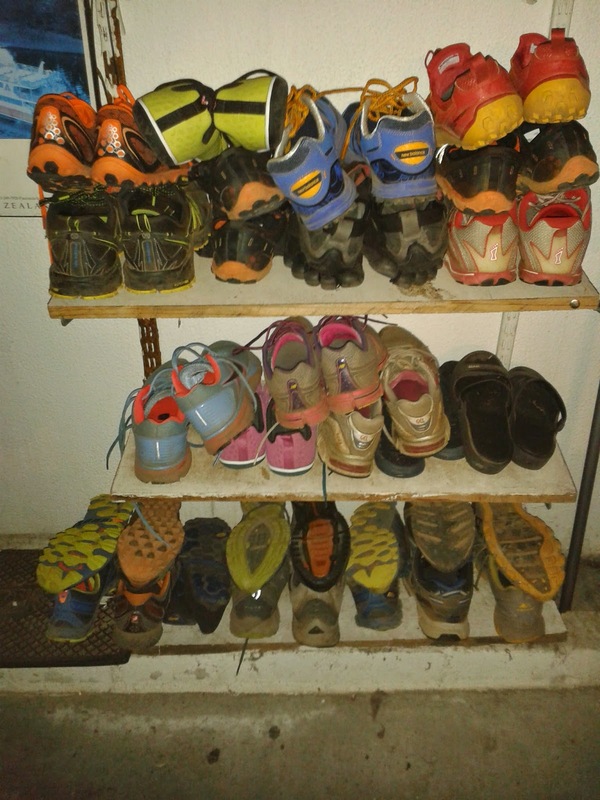 I honestly don't believe that any one shoe is good for everyone. I quite like a cushioned shoe because me feet really hurt once I get up in mileage. When you get old like me the fat pads in your feet start to wear away and there's less natural cushioning. I haven't had any injuries of any note (touch wood) so I'll keep using what feels good. If it aint broke don't fix it. What shoe is best is another debate altogether, it's all about running style, and while we all long to run like the Olimpic Champians we can't so we must find a shoe that lets us think we can... So yes: If it aint broke don't fix it.